Online video streaming has occupied the major portion of data access in the world of internet. The availability of various sites and the advanced internet has increased the craze of watching the latest movies, TV shows and web series. And some of these websites specialize in providing web series, for example, the TheWatchSeries streaming site. PrimeWire is one of the popular streaming websites which allow its users to watch movies and other media online. Other than PrimeWire, other websites functioning as the PrimeWire alternatives are also available for online video streaming for free. Here we have listed the top 8 best similar sites to PrimeWire which have all the features like PrimeWire and allow users to access their contents for free. This is the first website which is similar to PrimeWire we recommend for you to watch movies with its huge library of all types of movies. It has a simple and user-friendly interface which is somehow similar to that of Netflix. 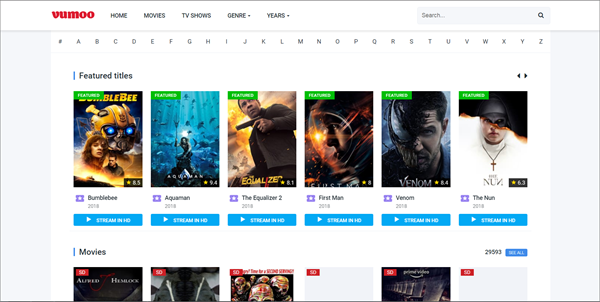 It displays all the recently added movies which are shown on its home page and also enables users to search for movies using the category like the genre and year. Furthermore, it provides the movie’s brief synopsis along with its IMDB rating and trailer. However, this site also contains ads and pop-ups which interrupt users’ watching continuity. So, the best way to use such sites is to install an ad-blocker software to enjoy watching movies and shows hassle free. 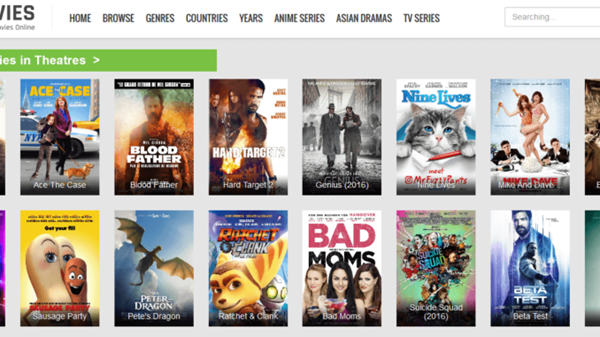 Yify is considered as the best PrimeWire alternative if you are looking for the latest movies. The interface of this site is designed so as to display the latest movies on the main page as you open the website. But this site does not allow its users to watch a movie online. You need to download that movie first and then watch it offline on your device. You can easily navigate to new movies on this site using the genre and releasing year of the movie. If you want to explore more features of this site, you need to sign up to Yify. At present, this site is facing some downfall owing to which user may face some issues while accessing this site for movies. So, to save your trouble, we recommend you to visit some best Yify alternative websites then. Tip: If you need to download movies, for your better watching experiences, we recommend Gihosoft Free Video Converter for you to solve the incompatible problem you may encounter. It can convert videos to MP4, AVI, MKV, MOV and more at a blazing fast speed, so you can easily change video formats depending on the requirement of your different devices. This website has quite a complex interface but its video quality makes it a site just like PrimeWire. It displays the movies in high video quality and also renders users many external links in case of any link failure present on the website. The best part of this PrimeWire alternative site is that you can download a movie with a single click on this website. It also enables users to download a movie in various formats like FLV, 3GP, MOV, WMW, and MP4. Moreover, there are not many ads and pop-ups shown on this website, which increases its futuristic demands. 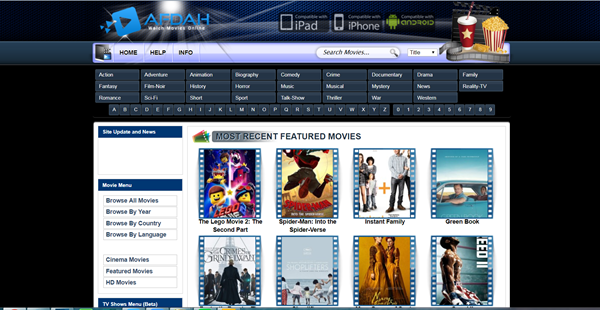 As a similar site to PrimeWire, Afdah is also a hub of online movies, shows, and series. The contents of this site are categorized under 27 different genres bringing the specification in its search tool. Other than the genre, you can also search for movies by entering a title, director, actor or any related keyword. It also provides great user support with quick actions on link failure. It is compatible with iOS and Android devices. You can also search for your movies using different languages as well. Its excellent performance and features make it the safest video streaming website. This streaming site available for free is another alternative to PrimeWire. 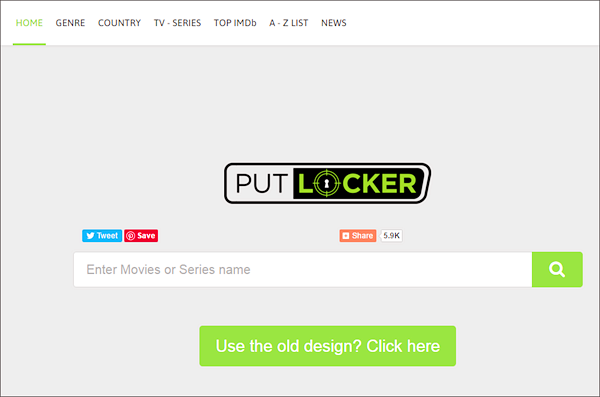 It has an easy and clean interface as compared to Putlocker. You can easily search for your favorite movies using its well-designed and categorized webpage. All the movies can be seen in HD quality. However, users will find unnecessary pop-ups and ads on it which may be quite annoying. Moreover, the video takes three clicks to get loaded. But, as per the service provided by this free streaming site, Vmovee is highly preferable and good to use. Vumoo is designed for the user who has a clear idea about the movie they are looking for. It is for quick access to movies with its excellent database of movies. Unlike PrimeWire, this site does not have advanced searching tools and such parametric features. Even though, it is listed as an alternative to PrimeWire owing to its large library of movies and shows. Moreover, you can find all the episodes of series at one place, which makes it easy to watch them as desired. Its quickly accessible tools and decent interface make it reliable to be used for online video streaming. By the way, you can also visit Vumoo alternative websites to find more excellent contents! 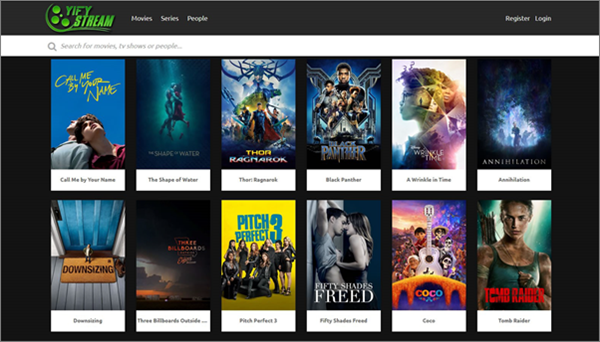 SnagFilms is designed to be different from other video streaming sites, organizing about 5,000 movies based on similarity. This similarity is not based on the year or type of issue. It captures the theme of the movie and collects similar movies. The site also allows access to all popular social networking sites, enabling users to share movie status or recently watched movies to friends. In addition, users can find a movie preview on the website to get an overview of the movie. It is a differently coded website, making it a great similar site to PrimeWire. 5Movies is a simple design website with the same movie collection as Movie25. It provides quick access to the latest additions, featured, and popular HD videos. However, it is not as diverse as PrimeWire. You can search for videos by the year, title, and genre. The site also provides user support. If you want to get any movie that is not on the site, you can contact the carrier to add them. The latest update of this website is in the development stage. Putlocker is one the streaming giants having all the options to watch content similar to PrimeWire. It has a large collection of TV shows and movies. The movies can be searched easily using its genre, year, recently added, artists, etc., as the keywords. It has a very clean and simple user interface but contains ads which make this website quite frustrating for users. You can also look for the movie summary along with the video. Moreover, this website not only allows the user to watch the movie online but also download it in HD quality. 123Movies is featured with modern layouts and advanced tools to stream videos online. It has a user-friendly and simply designed interface as similar to PrimeWire. It has a good collection of movies which can be searched by its name, genre, year or country. Other than movies, users can also watch TV shows and series on this website. All the contents are labelled well making the search easier for the users. You can sign up to this site to watch more movies and share it with your friends. The website is available in two versions: new and old. You can select any one depending upon your choice. Worth Reading: Youtube video downloader for PC. From the list given above, you have found many PrimeWire alternative websites with different and free features for online movie streaming. You can also download your favorite contents through some of these websites. If you have used any other site, please share your experience in the comment section.